With the sophisticated pairing of black and grey, Iron offers a chic choice for the style-savvy parent. 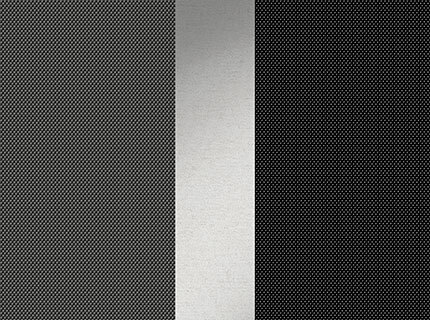 Black and dark grey fabrics are woven for durability and completed by sleek silver accents. BravoFor2 Standing/Sitting Double Stroller - Iron is rated 4.3 out of 5 by 32. Rated 4 out of 5 by kd mom from Compact and light This is only our second stroller we ever purchased and I am so glad we made the switch. Our first one was great for only one child, but now that we have 3 this stroller made it such a breeze for outings to museums, zoos and even walks to the park. The older two get to switch out from walking and riding while the youngest one gets the throne seat and great view. I love the parent tray already for drinks and stashing small items. No need to worry about pockets. The kids love the small spot they can stash their snacks or papers from our trips. The slim design and ease of maneuvering makes me one very happy costumer. Minor detail which seems hard to add without making it more cumbersome is a shade for back child. Rated 5 out of 5 by AlesiaM from Fantastic stroller! We received this stroller a couple weeks ago and so far I have been very happy with it! It has a lot of excellent features that I have felt were missing with other strollers I’ve used. I love that it includes a snap on tray with cup holders that my 1 year old can use for snacks and drinks when we’re out and about. The front seat can also fold down and a Chicco infant seat can snap into it. The stroller has ample storage room underneath that is easy to access and a great zip up pocket storage near the handle that is perfect for storing small snacks, my cell phone, and keys. My four year old especially loves that she has the option to sit or stand when riding. We used the stroller for a walk to the park near our home and while she preferred to sit most of the time, I could tell that she loved to be able to stand whenever she liked. The stroller also has a large snap on umbrella canopy that is able to cover both of my girls when the oldest is sitting. The initial set up of the stroller was a breeze and I love how easy it is to open and close, and how compact it is when it’s in the closed position. It is also fairly lightweight compared to our other double stroller making it much easier to get in and out of my vehicle. It maneuvers very well and is a smooth ride for my girls. The only complaint I would have is with the cup holders. I wish they were a bit deeper. When we would hit bumps I found myself having to hold onto my daughter’s sippy cups to keep them from falling out. For me though, this is a minor thing and really doesn’t impact my overall love of the stroller. I really wish I’d had something like this sooner. I know it will get a lot of use! This product was given to me by Chicco in exchange for my honest review. Rated 5 out of 5 by BeckyB from Impressive Stroller for Two! I’ve had the BravoFor2 stroller for two weeks and am really happy with its performance. I’ve been pushing a 16 month old and a 3 year old (so I do not have feedback on use with an infant car seat). My 3 year old prefers to stand; he likes to see where we’re going. However, we do love to have the second seat as a back up option for when those 3 year old legs get tired. My only minor complaint is that the brakes are in line with the standing platform, so sometimes my son inadvertently steps on the brakes when standing or when seated with his feet on the platform (which is why I gave it 4 stars for design). I love how nimble the stroller is (much less bulky than other dual-rider strollers I’ve seen); it’s great for maneuvering through crowds and in and out of stores. Also, the ride is smooth and the stroller is easy to steer. The BravoFor2 lives up to its “one-hand close” promise. It’s super easy to close, and the closed position is really compact; it fits in my sedan trunk with room to spare. I also appreciate the free-standing feature when the stroller is folder; it gives me the ability to be hands-free before lifting it into my trunk. I love that the child’s tray/cup holder and parent’s cup holder/accessory pocket are included (with other strollers I’ve had to purchase these accessories separately). I also want to highlight is that the initial assembly is quick and easy; I went from opening the box to fully assembled in about 10 minutes. Overall I’m very happy and impressed with the BravoFor2 stroller and have confidence that it will grow with my kids. Chicco provided this product to me in exchange for my honest opinion. Rated 5 out of 5 by Brett from Great for Toddler With 3 young children, my wife and I have had a couple of different strollers over the years. When we went from 1 to 2, we bought a double stroller. Not only did our oldest child not enjoy sitting in the stroller, as he preferred walking, but the stroller was large, heavy, and difficult to maneuver. Part of difficulty in maneuvering was placing the older, heavier child in the front, and the lighter infant in the back. The Chicco BravoFor2 is amazing! We have it configured for use with an infant carrier. Our toddler loves ridding on the back, and having the flexibility of jumping on for a ride, or walking along side his big brothers. The BravorFor2 is well balanced, and does not feel like the "bus" that many double strollers are. Having the older, heavier child in the back makes turning and maneuvering a breeze! The unit was simple to assemble, and is relatively lightweight when comparing to other similar products. Closing the stroller is intuitive and makes picking it up to put in the car easier than most. Our Chicco infant carrier fits well in the front, and is easy to put on and take off. The cup holders are a bit small, and do not fit larger kids cups, but this is by no means a deal-breaker. We are thrilled with the BravoFor2. Chicco provided this product to me in exchange for my honest opinion. Rated 5 out of 5 by Christie from Perfect for an older child and newborn! We love our Chicco BravoFor2 stroller! With a newborn and a preschooler it fits our needs perfectly! Our preschooler is usually “too cool for strollers” but with the new addition to our family, he wants to be in the stroller with his brother and the sit and stand option are perfect for an older child. The Chicco Keyfit 30 infant seat easily snaps in and out of the stroller which is useful when maneuvering two children and the stroller has a “smooth ride” and is easy to push and turn! Most double strollers I have handled have been heavy, bulky, and hard to store but not the BravoFor2. We love how easy it is to close using one lever and how compact it becomes when folded. The cupholders and the accessory bag are awesome! I feel like we are constantly losing things and being able to place our cell phone and keys in the zip compartment is a real lifesaver. The only negative we found, is it would be nice if the stroller handle was adjustable. My husband is on the taller side and it would be more comfortable if the handle could extend a bit! We look forward to continuing to use this stroller as our children grow and trying out the different features it has to offer! We highly recommend this to anyone who has an older child and is looking for a double stroller! Rated 5 out of 5 by shieldsdj1988 from Easy assembly and great for two kids! This stroller is great! It was really easy to put together and access all of it's functions. I love that our toddler can stand or sit in their spot while our other little one can sit facing forward. Good storage underneath and a canopy to shade the kids from the sun or light rain. It also has good wheels and turns easily and without any struggle. I definitely recommend this stroller if you have two kids! Chicco provided this product to me in exchange for my honest opinion. Rated 5 out of 5 by celeste1970 from Wonderful stroller for 2!! This is a great stroller, very smooth ride for the kids with the treaded tires, easy to fold and put into a vehicle. Love the 2 areas for storing cups, the large storage basket is great to have. Overall a very nicely made stroller. Chicco provided this product to me for my honest opinion. What&rsquo;s the difference between the bravoFor2 and the LE bravoFor2? Is this stroller compatible with nuna pipa infant car seat? The BravoFor2 stroller includes the child's tray which is required to be attached when installing the Keyfit, Keyfit 30, or Fit2 infant car seat. Is this stroller compatible with the maxi claim car seat? Or is there an adapter I can purchase? The BravoFor2 stroller is only designed to accept the Chicco Keyfit, Keyfit 30, or Fit2 car seat. It will not accept a car seat manufactured by another company. I can accommodate 2 infant car seat? Can I adjust two car seat to the stroller? How do I do it?